Fact #1: It’s a very Australian thing to be self-deprecating and poke fun at your own achievements as much as you’d ever criticise anyone else’s. In line with this, there’s a trend among Australian craft brewers to be self-deprecating about their own beers. Fact #2: While a number of brewers take pride in the amount of flavour they’re able to get into their mid-strength beers, a fair portion of the craft beer community will mumble that mid-strength beers are lame. Fact #3: It’s common for appreciators of good beer to have a go at the bigger commercial breweries. Perhaps it’s arrogant and snobby, but we do it anyway. 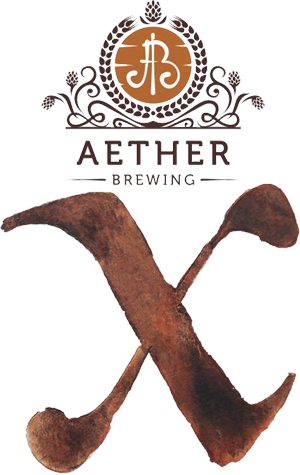 When you take all these facts together, you can gain a better appreciation for Aether’s Average Ale. You can’t help at smirk at a name like that. But, when you taste the simple malt breadiness, the gentle honey sweetness and the clean refreshing finish, you understand that this isn’t a beer designed for deep concentration around a tasting table, but for long sessions on summer days.